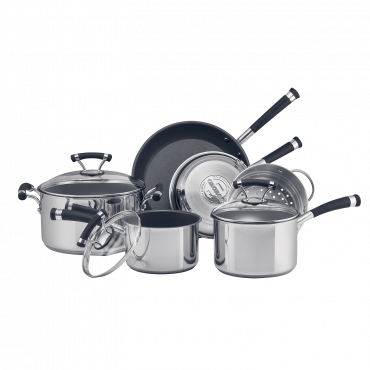 The modern contemporary style combined with the polish of stainless steel sets the Contempo cookware apart. 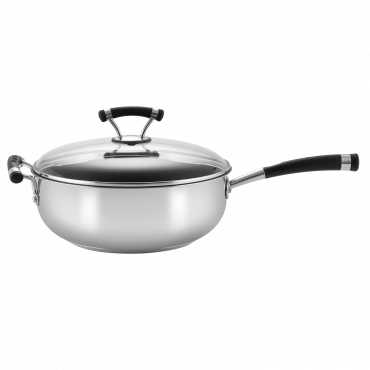 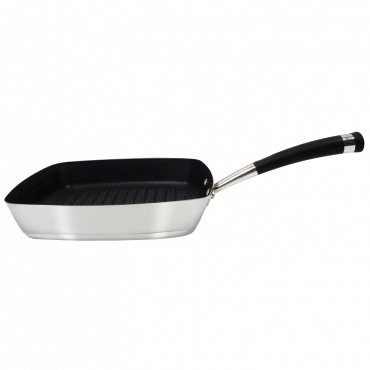 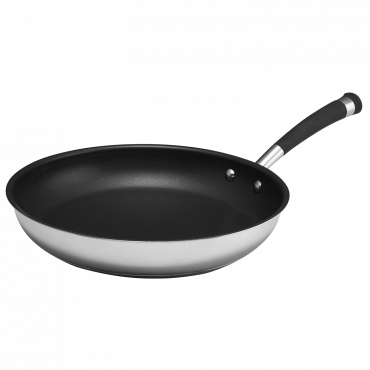 Constructed of heavy gauge Stainless Steel and TOTAL® 3-layer non-stick interior. Riveted stainless steel with silicone handles with a fold-out ring that allows for convenient hanging.